The Vantage boards pull out all of the stops in style, function, and finish. These highway boards are created to fulfill the demands of motorcyclists looking for unparalleled style and comfort at a fair price. 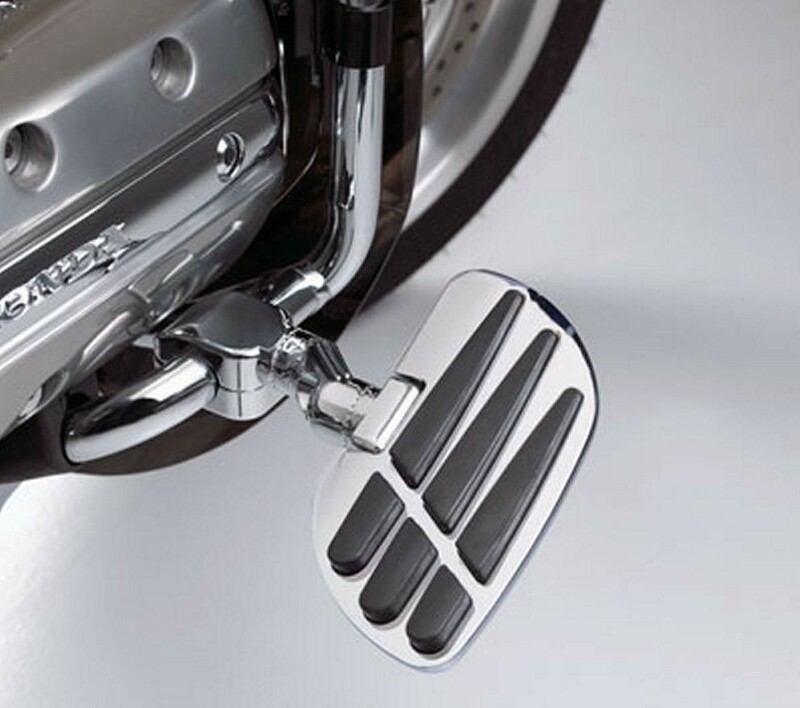 Built tough from CNC finished aluminum and coated with brilliant chrome, the Vantage boards accent your motorcycle with elegant styling and superior fit and finish. Dimensions 6 1/4" x 4" x 1". Vantage Highway Boards part shown with optional 21-312 stepped off-set extension.